Your 1000$ Phone needs the maximum protection it can get. Do NOT settle for less and compromise on safety and style. Do you have the best protection for your Phone yet? Here’s one of today’s most in-demand Phone case in the market — the Magnetic Adsorption Phone Case! Sounds good? But wait, there’s more! This ultra-slim Magnetic Adsorption Phone Case is crafted with premium Grade A Aluminum frame and 9H tempered glass cover. 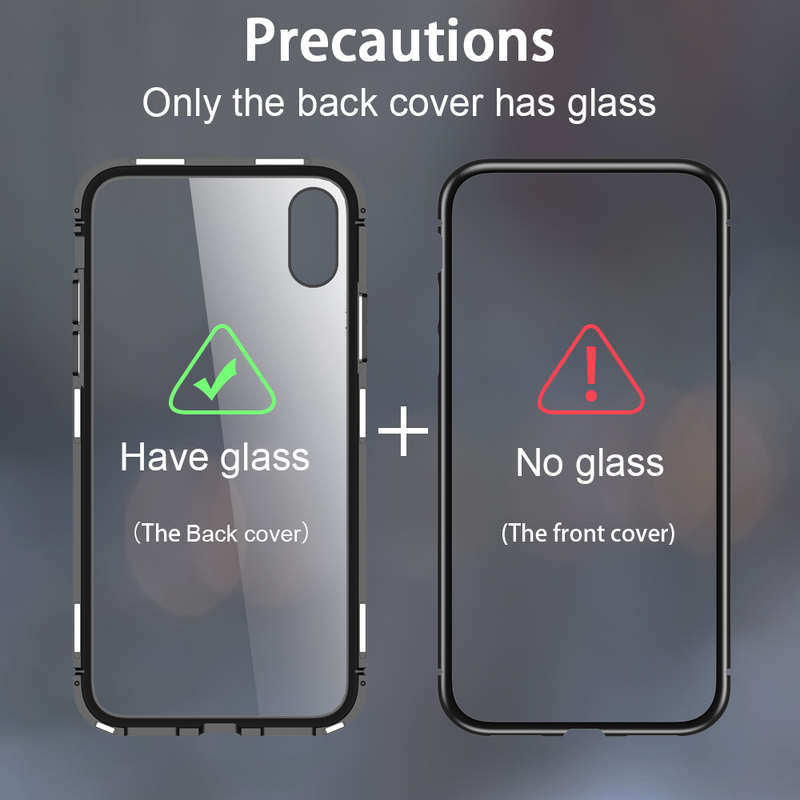 It features multiple magnets for guaranteed stable adsorption and stronger suction force, so it won’t easily fall off to better protect your beloved phone. THIS ITEM IS NOT SOLD IN STORES, SO PLEASE PLACE YOUR ORDER BEFORE WE RUN OUT! UPDATE: We're blowing up on social media and we're officially running low on this, please fill out your order soon! There's absolutely ZERO RISK buying from the Alpha Orignal - so send us an email if you need any assistance. We personally make sure you get the best products, you and your best friend should not have any trouble, thus give us 2-4 Weeks to deliver the product to you. Be the Alpha! Be the leader!